Rolling Counter Doors secure openings above counters and other similar finished openings on interior and exterior walls. 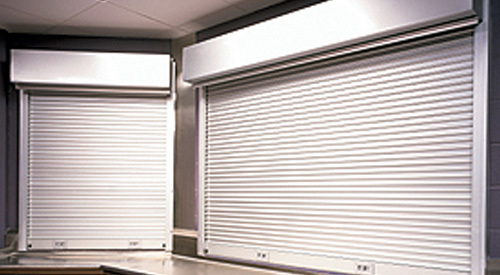 Feature smaller, more aesthetically pleasing guides, slats, brackets and hood than rolling doors; can fully close to the floor when compact door components are desired. Click here to go back to products page.